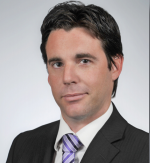 ASIC has yet to reveal why it recommended Hall Chadwick's Cameron Shaw and Richard Albarran relinquish the Monnif VA.
Hall Chadwick’s Cameron Shaw: resigned by consent after ASIC intervention. SiN’s Market Street hackers recently relayed that the liquidator cop was not comfortable with Hall Chadwick’s Cameron Shaw and Richard Albarran agreeing to an appointment as voluntary administrators (VAs) of Monnif Pty Ltd. The West Australian outfit, which trades under the name Monty’s Plant Hire, was the subject of winding up proceedings initiated by Bank of Queensland Equipment Finance (BOQEF) in the Supreme Court of Queensland on September 9, 2016. A hearing was set down for October 5. It looks like that date passed without event. According to the VAs’ Declaration of Independence, Relevant Relationships & Indemnities (DIRRI) the appointment was referred to Shaw and Albarran by one Bradley Solly of JBC Corporate. Solly’s Linked In profile indicates that until until June 2016 he was employed at Hall Chadwick’s Perth Office as a senior accountant. Shaw and another Hal Chadwick Perth staffer – Dario Musulin – met with Solly and two others from JBC on October 13. One of these was Christian Ainsworth, whose Linked In profile indicates he worked at Hall Chadwick until July 2016. The other, John Thompson, also worked at Hall Chadwick until some time this year. On October 26, Shaw met with Solly, Ainsworth and the company’s director, Joseph Andrew Tonner. Two days later Shaw, Solly and Tonner met again and on November 3 Shaw and Albarran were formally appointed VA. Shaw revealed in his first report to creditors that on that date he rang Greg Daniels, representative of secured creditor NAB and factorer Nick Samios of Hermes Capital. The first meeting of creditors was called for November 15. Sometime between their appointment and the first meeting ASIC wrote to Shaw and Albarran. SiN has not seen the letter or been familiarised with its contents but understands the regulator did receive a reply. Shaw and Albarran had seemingly agreed they must resign. On November 15 they tabled the correspondence with ASIC at the meeting. The resolution to replace them as VAs saw FTI Consulting’s Ian Francis and Michael Ryan appointed in their place. When SiN spoke to Francis this week he said he was still waiting to hear from Tonner about a proposed deed of company arrangement (DoCA). SiN is still waiting to hear details of why ASIC wanted the Hall Chadwick pair to remove themselves. It’s not mandatory for ousted appointees to file minutes if they’ve been replaced at the first meeting of creditors and the ASIC record shows no such document has been lodged at time of writing. Neither Shaw or Albarran responded to requests for comment. 1 Comment on "Hall Chadwick pair warned off by ASIC"